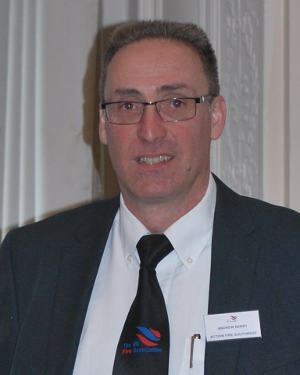 The UK Fire Association was formed by Alan Price, Tom Law and Alan Palmer in February 2009 primarily to serve the interests of small and medium sized fire equipment maintenance companies and their customers. They were joined by Andrew Berry in 2017 when he took over from Alan Price as chairman. We represent over 200 small and medium sized companies providing fire prevention and protection services, solutions and training. We are a not for profit organization - owned by our members for the benefit of our members. To promote trade between members so that we can better serve our customers. To stimulate dialogue with other Fire Trade Associations for the benefit of members. To inspire debate by members so the association more accurately reflects their views and needs. The UK-FA exists to support small and medium sized fire trade enterprises, creating a network of experts who provide services and solutions to each other and UK consumers. Access to specialist sub-contractors, that you can trust e.g. dry riser/fire alarms/extinguishers/systems maintenance, fire training and fire risk assessment providers. Advice from experienced like-minded organisations about growing your business. Complimentary UK-FA vehicle logo decals. Introduction to specialist fire trade insurance brokers. Discounts on selected industry required technician training courses. Free UK-FA Portable Fire Extinguisher Maintenance Procedures Manual. ISO9001 quality management accreditation consultancy. Mediation when things aren’t going well with your customer. Nationwide coverage for consumers using our network of over 200 members. Online and Telephone reference to our extensive technical library. Promotion of your services to consumers and other fire industry organisations through the UK-FA website. Prompt technical and commercial support from association Directors and specialist members. Private members area on website for industry guides, discussion groups and networking. Quality assured templates of key industry documents e.g. RAMS, T&C’s, method statements, fire log book, etc. Regular news updates through newsletters and social media. Substantial cost reductions when buying BSI standard materials. Two informal meetings a year with relevant guest speakers to maintain continuous professional development and where you can network and socialise with other like-minded people. Use of the UK-FA Member Logo on email and print stationery, social media and your website. 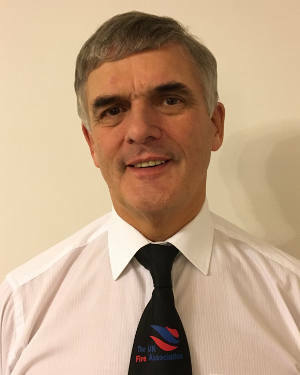 Andrew became the Association's Chairman in 2017 and is responsible for running official meetings and acting as the figurehead of the association within the industry. Alan is a founding Director of the UK-FA. Based just outside London he is responsible for membership management, news bulletins and events. Tom is a founding Director of the UK-FA. 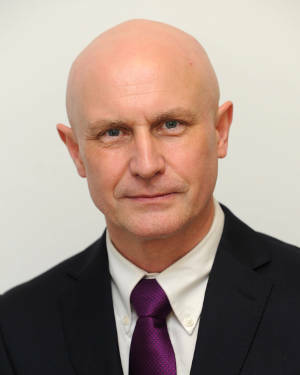 Based in the north of England he is responsible for the financial management of the association.